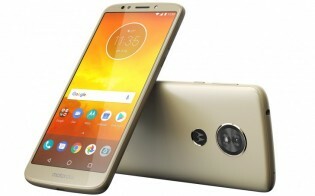 Earlier this month, Motorola launched the Moto E5 Play and Moto E5 Plus in India and the two handsets are now hitting the US. T-Mobile is now selling the two entry-level handsets, according to the devices’ respective support pages. The Moto E5 Play is available for $150 outright or $6 down and $6 per month for 24 months. 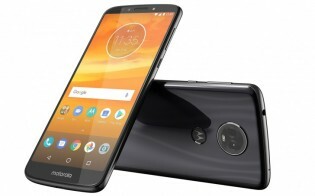 The Moto E5 Plus is a bit more at $255 outright or $9 down and $9 per month. The E5 Play is one tier below the E5 while the Plus is above the E5. The E5 Play has a smaller 5.2-inch 16:9 display, 8MP camera, and a 2,800 mAh battery. Memory-wise is a combination of 2GB+16GB and powered by a Snpadragon 427 CPU. The E5 Plus has some different specs: it's got a larger and taller 6-inch display with 2:1 aspect ratio and a much larger 5,000 mAh battery compatible with Moto's TurboPower charger. Memory gets an upgrade at 3GB+32GB and its powered by a slightly faster Snapdragon 435 CPU. Finally, these two Moto devices are compatible with T-Mobile’s 600 MHz band (Band 71) to take full advantage of T-Mobile’s new extended range cell towers. It's difficult to make a case for those prices in the US when last year models can be had for less than $100. The E4 Plus was a little more expensive but nowhere near $200. And HW updates are minimal, while SW updates are not guaranteed.